This TDG Participant Guide is designed to be used for a single student who is participating in an instructor-led class. 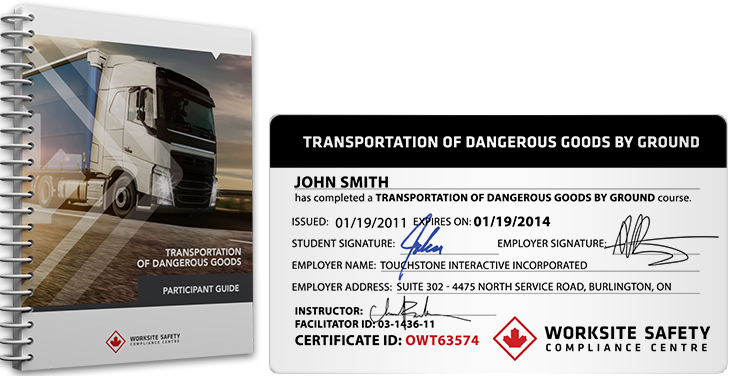 TDG Training is a requirement for individuals who may be required to handle or transport Dangerous Goods. This TDG Participant Guide is for use exclusively by Worksite Safety Approved Trainers. To become an approved TDG Trainer, you must complete our Online TDG Train the Trainer or Instructor-led TDG Train the Trainer program.